T&C Hawksley were commissioned by Huddersfield Corporation Waterworks to construct the Butterley Reservoir with works commencing in August 1891. Construction was completed in June 1906. The spillway is of masonry and concrete construction, located to the RHS of the embankment. The spillway is also a Grade II listed structure. 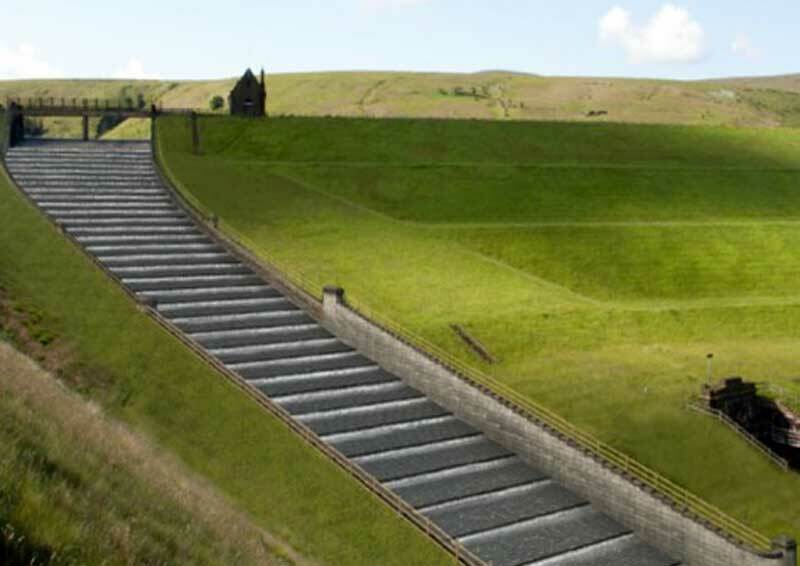 In June 2013 both planning and listed building applications were submitted for improvement works to the spillway. The improvement works to the spillway entailed building a new reinforced concrete spillway within the existing one and smoothing out the steep cascades with a gradient similar to that of the existing upper spillway. Elements were incorporated into the design to mitigate the visual impact on the existing structure, by lining the raised concrete walls internally in masonry, reusing the coping stones and locally re-profiling the embankment. Works have been progressing on site since Spring 2016 and are virtually complete. The historical background of the construction of Butterley IRE which has had a substantial impact on the present scheme. The challenges associated with the optioneering and planning processes. The detailed design considerations and discharging the planning conditions. The spillway improvement works won the Smeaton Award for projects greater than £500,000 and less than £5m at the Yorkshire and Humber ICE Awards in March 2017.